Mike Crimaldi, president of Rig Source, Inc., believes that the time has come for a new kind of rubber track carrier to serve the needs of pipeline contractors – a carrier that is truly customizable to fit individual requirements. Coenen appointed marketing manager for Rig Source Inc.
June 5, 2013 – ELBURN, Ill. – Monica Coenen has been appointed to the position of marketing manager at Rig Source Inc., an international equipment dealer specializing in drilling equipment and crawler carriers. In her new role, Coenen will report directly to Lisa Crimaldi, vice president. Rig Source delivers drill rig to Ecuadoran exploration contractor Geosuelos. 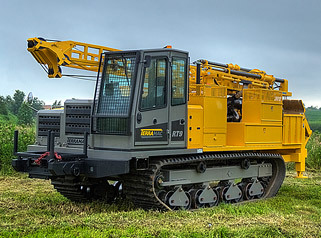 Rig Source of Elburn, Ill., has just completed sale and shipping of a Boart Longyear LF70 core drill to Geosuelos based in Ecuador, South America. 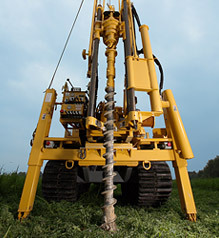 Geosuelos will use the drill for mineral exploration. 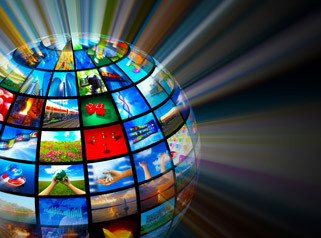 Rig Source Inc. appoints three new positions. 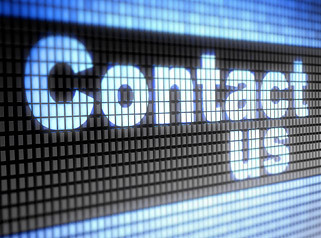 January 15, 2013 – ELBURN, Ill. – Rig Source Inc. announced it has selected key personnel for sales and service positions for its Terramac rubber track carrier line. 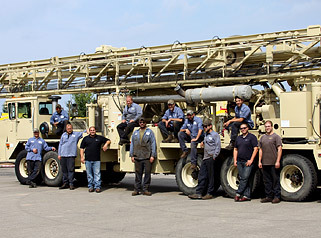 February 21, 2013 – ELBURN, Ill. – Rig Source reported strong positive feedback from attendees of the 2013 Underground Construction Technology international conference and exhibition. It was the first time Rig Source showed its new Terramac RT9, the only North American-made rubber track carrier at UCT. Rig Source, Inc. introduces Terramac crawler carrier line. August 28, 2012 – ELBURN, Ill. — Rig Source Inc., a well-known dealer of drilling equipment located in Elburn, Ill., previewed their new Terramac RT9 rubber track multipurpose carrier at the Northern Mining Expo in Timmins, Ontario, May 16 and 17. The formal product launch for the Terramac will be at the MINExpo conference in Las Vegas in September. October 29, 2012 – ELBURN, Ill. — Rig Source Inc., based in Elburn, Ill., officially introduced its new Terramac RT9 rubber track multipurpose carrier to the mining industry at MINExpo International 2012. Some sources say that the first patent for a rubber track was issued to an engineer in France in 1913. Today’s typical rubber track carrier is anywhere from 8 to 10 feet wide, and from 10 to 20 feet long. 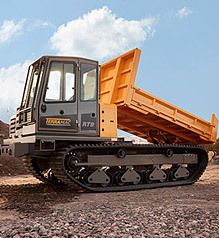 Taking Delivery Submission from Rig Source, Inc.
Civil engineering company Missman Inc. of Rockford, Ill.
Kansas-based Terracon, a firm of consulting engineers and scientists with over 130 offices across the U.S.
Mike Crimaldi knows track carriers. He was working with crawler-mounted drills before he had a driver’s license, starting out as a driller’s helper at about age 15. As his company’s drilling fleet grew, so did its service and repair capability.